Still on the fence about social media marketing? Here are actual results one of our clients got when we added social media to their marketing mix. In June of last year, I worked with one of my clients to improve their marketing. At the top of our list was a project to improve their online presence and create more awareness about their business (the client’s identity is confidential). We decided to begin by optimizing their website and implementing a blog and social media marketing. The client had a decent Facebook page with over 1,000 likes, and they send a weekly email with updates and announcements to customers and prospects. The first step was to clean up and optimize the website. The client had contracted to have their website updated in WordPress, which provided an opportunity to easily add missing content, clean up existing content, and optimize all of the pages. We added features that displayed new updates and posts on all pages so that visitors could more easily find what they were looking for and be informed about what they didn’t know. The client did not require that their site update include a responsive design. This means that pages and fonts would resize and information would be presented in formats that visitors could easily view and interact with no matter what device (cellphone, tablet or desktop computer) a visitor was using. A responsive design means to more swiping on your small device to expand font that is too small for the screen. It means being able to click on buttons and execute a transaction, without mis-keying because the screen is too small. This wasn’t the client’s fault. The announcement from Google that sites need to be responsive was done in February of 2015. Web developers and SEO providers took note of this, because it is rare for Google to announce algorithm changes in advance. The change was enacted in April of 2015, and many businesses that still had non-responsive sites were negatively affected in the search engine results. The good news is that the WordPress template used for the update was responsive; it was just that some customizations disabled the responsive design. Technically the site was seen as responsive by Google (and thus our client’s site included the words “mobile friendly” when the site was listed in search engine results. But, the screens were chopped off when viewed on tablets and phones. Implementing a multiple-author blog is like herding cats. The blog implementation was an interesting challenge, as it involved coordinating several people who were asked (not told) to contribute. Some people had written blog posts and were familiar with social media. Some were interested and set an intention to blog, but were in reality infrequent contributors. Others chose not to contribute, perhaps because the thought of blogging was overwhelming. We provided training on how to re-purpose existing content and knowledge into engaging blog posts. WordPress has some wonderful features that help you manage multiple authors, allow them to add draft posts with their own login. Then a manager can edit, optimize and publish all posts, which appear with the author’s bio and photo. Blogging started in June of 2014, and we installed Google Analytics in August (oops, the client didn’t know about this either, and the web developer didn’t make it happen with the site update). We began to look at the results in Google Analytics and were able to show the client that certain blogs and keywords were indeed generating traffic. Traffic on the website started creeeping up slowly. Then we did the social media implementation in phases. Our client had a decent Facebook page, but there were two or three duplicate pages for the organization. This is quite common, as different people and departments have a great intention of creating awareness on Facebook, but don’t communicate what they are doing. Unlike LinkedIn, which requires that you have an email address with the business URL (and have it registered on LinkedIn for some time and have established connections in your profile – see more here), anyone can set up a Facebook page for a brand or organization. Facebook’s philosophy is if you are a fan you can set up a page. But, fortunately, Facebook has a merge feature. If the pages have similar names, you can merge them together. It takes some care to make sure you keep the page that is official or that has more likes and merge the others into it. Also, you may have to do a name change on one of the pages to get it similar enough to your official page before merging. And, tracking down the owners of the pages can be a challenge! It took us over a year to hear from one of our clients duplicate page owners, despite repeated messages through Facebook (some people rarely check those messages). The client’s Google+ page existed, but it wasn’t branded, and no one was posting information there. We made the changes and made sure all blog posts and announcements were posted on Google+. Some people started following the page and some even posted reviews. Then it was time for Twitter. We created a branded profile and followed many people in the client’s industry. No Twitter lists existed for our partners and associates, so we created some that others could easily follow. We posted daily tweets that contained links to our blog posts and to relevant content online. The results came in! Social media dramatically increased traffic to the website. Google Analytics data showed us that in the month after we began posting on Google+, visits (sessions) to the website increased 70% and the number of unique visitors almost doubled. The number of pages per session increased 90%. The following month as we continued to blog and post on Google+, visits increased by 25%, the number of unique visitors increased by 80% and the number of pages remained the same. Now comes the month in which we Tweeted every day. 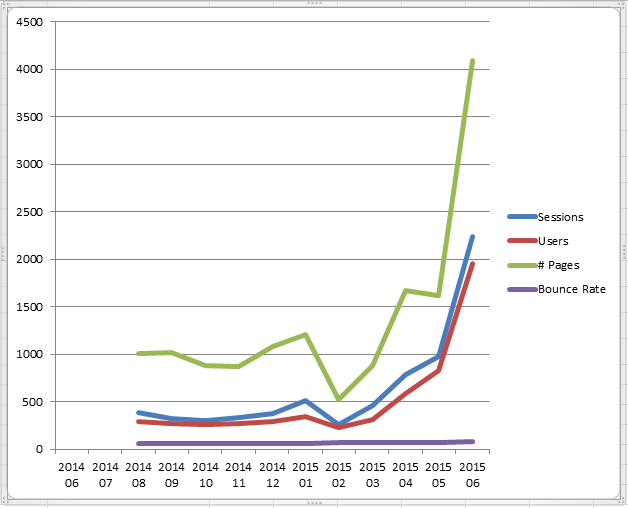 The number of sessions and unique visitors more than doubled, and the number of pages viewed increased 150%. Traffic soared from just under 1,000 visits per month to more than 2,200. Well, increased website traffic doesn’t always mean business results. With more traffic from Google+ and Twitter, we noticed that our client’s bounce rate went up, too. That means we needed to create more content on the site to engage people who do land there, as well as hone in on our messages going out on social media. Were we attracting the right audience? You need a great site with great content to convert the qualified visitors you do get. So, our work is not quite done, but it sure is nice to be able to show results, and quickly! All marketing and, certainly, social media marketing, has to be analyzed and tweaked for continuous improvement. What about you? 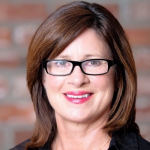 Are you experiencing results with your social media marketing implementation? If you need help with your traditional or online marketing, contact New Incite today. We’ve helped hundreds of companies get results from their marketing through strategic planning, systematic implementation and results tracking. Great case study. I’d like to ask you to come and speak again using this as your presentation. Thanks, Ken, I love speaking to your groups!